Can I associate my existing Office 365 groups to teams? Yes, if you are owner of that group. 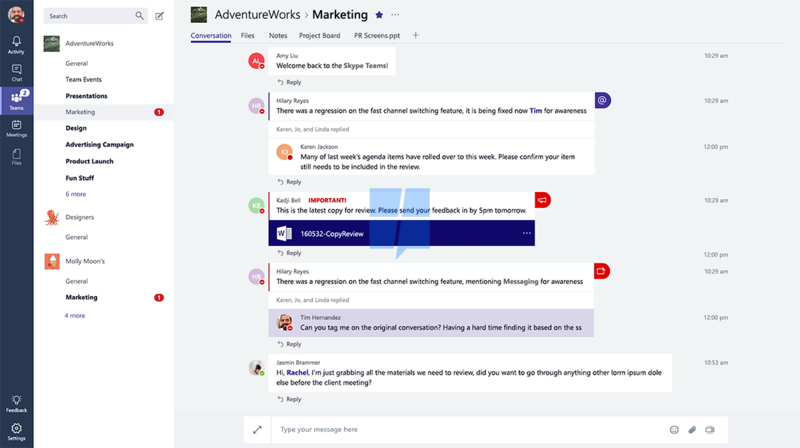 When creating team use "add Microsoft Teams Functionality" link and select your existing group. Why I'm not seeing my existing files from group under Files tab in teams? In teams, the tabs are specific to the channels. Every team has a default channel "General" and there will be subsequent folder created inside the groups site documents library. If you want your files to show then move your files to that appropriate folder. Why my existing group OneNote contents are not showing in the Notes tab? Similar to the files, each channel has got a dedicated section. Teams only shows the pages in that particular section for the channel. If you have existing pages created before associating with teams, then move those pages to corresponding section created for channels, then it should start showing in the Notes tab. Where is my existing group planner in teams? As of now there is no option to add the existing planner instance to the teams, new planner instance is created when you try add one to the channel.